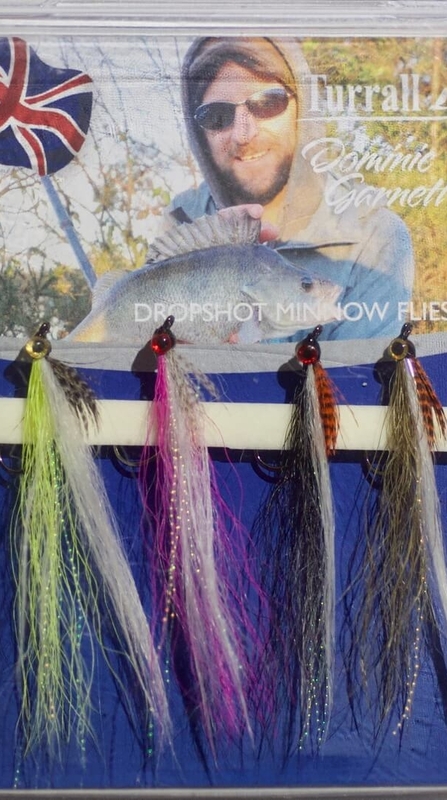 Dropshot minnow flies. Ideal for use with ultralight lure or LRF tackle. 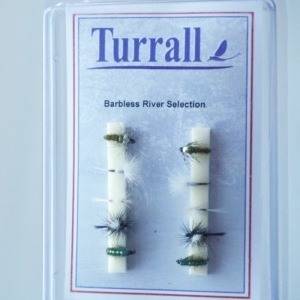 Perfect for perch, chub, trout. 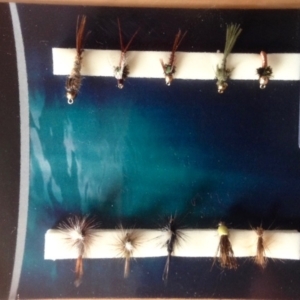 These new flies can be fished on either drop shot or fly tackle and are deadly for various predators but especially perch! 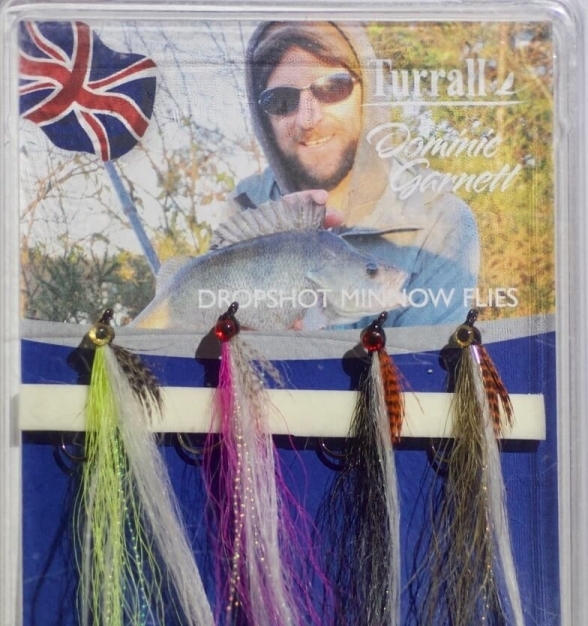 Turrall Dropshot Minnows work perfectly well with a fluorocarbon trace and dropshot outfit; but equally, you could try with a small split shot on the fly rod or a very light lure set up. 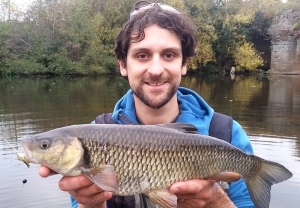 Extremely fluid action, subtler and totally different to standard rubber lures (and also far more durable). Try the natural colours for very clear water, or bright versions when visibility is less than ideal. 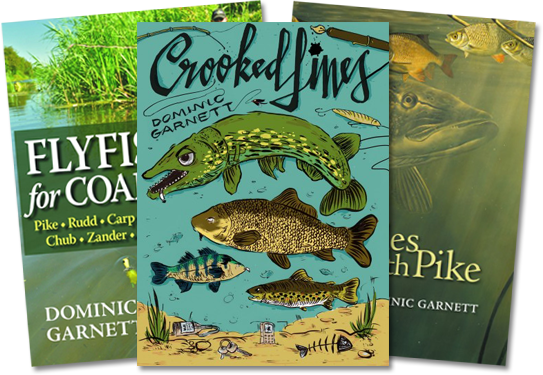 Some of the best alternative lures for drop shot fishing! 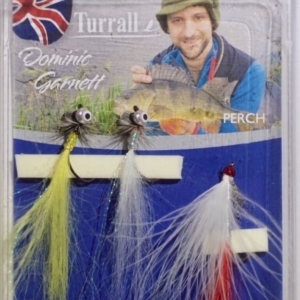 Technical specs: Dressed on size 2 Mustad Dropshot hooks, with a mixture of synthetic fibres and fine bucktail, a hint of sparkle and teal throat hackle.